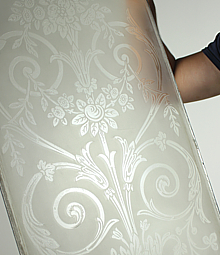 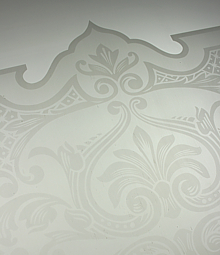 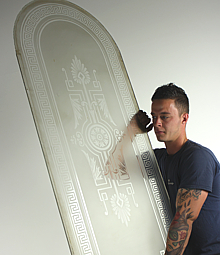 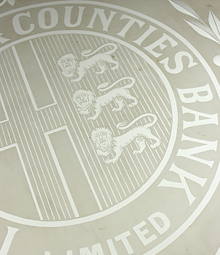 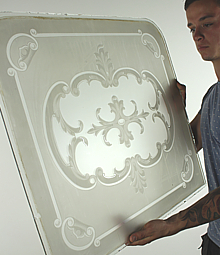 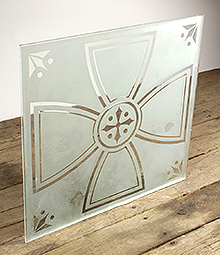 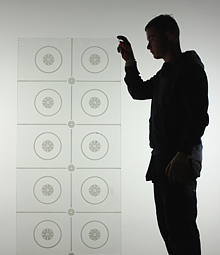 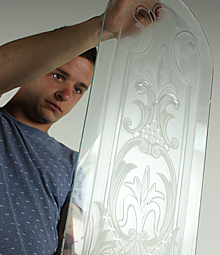 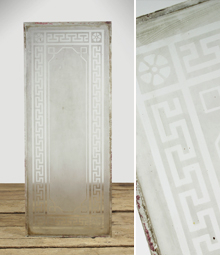 The process of etching creates a frosted finish with delicate shapes and patterns etched into the glass. 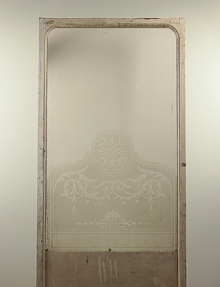 It was invented in the Victorian era and was first seen in public houses and bars, giving a feeling of exclusivity and luxuriousness. 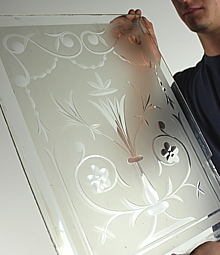 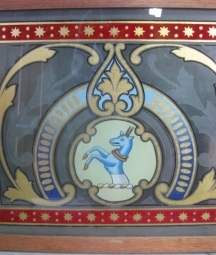 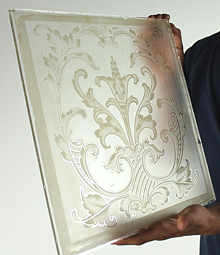 By the end of the Victorian period manufacturing etched glass was refined with new processes such as 'brilliant cutting' glass using a large rotating wheel. 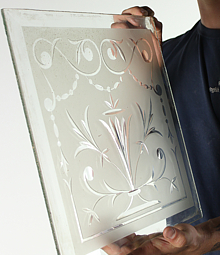 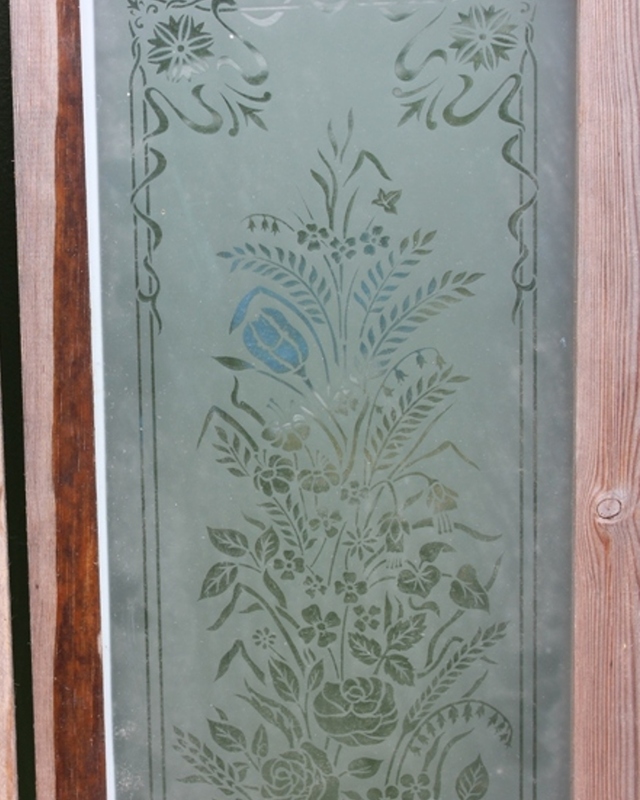 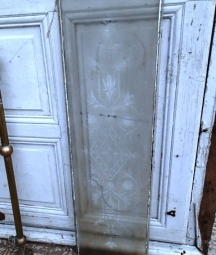 In some cases etching was imitated by the cheaper process of sandblasting, so more houses and public buildings featured etched glass at the beginning of the 20th Century.